United Structural Systems Ltd., Inc in Cross Lanes, WV specializes in foundation repair, wall realignment and waterproofing. Founded in 1995, we are a third-generation family owned company committed to providing the highest level of service, and superior foundation repair and maintenance programs for our commercial and residential customers, which is why we provide free estimates. Each member of our Cross Lanes foundation repair team is trained to handle the unique issues that arise with each foundation. United Structural Systems Ltd., Inc. has experience with new construction and retrofit applications for commercial spaces. We specialize in foundation repair projects that cannot usually be done by conventional methods. Each building is unique and comes with different foundation issues. 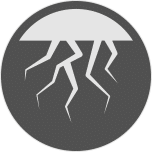 United Structural Systems Ltd., Inc. can provide a variety of solutions, including vertical application and lateral application that are used to stabilize the foundation, and waterproofing applications to keep water out of basements and prevent damage. Our Cross Lanes, WV team offers other services as well. Some of these services include slab repair brackets, retrofit brick ties, and benchmarking. We provide foundation repair, wall realignment, waterproofing and structural support services for our residential customers. Cracks in mortar, bowing walls and a rotating chimney can all be indicators of foundation issues in your home. Foundation repair can take a few forms, but no two foundations are the same. Our Cross Lanes, WV experts can determine the cause of your foundation issues, whether it is due to soil erosion, groundwater, or age. 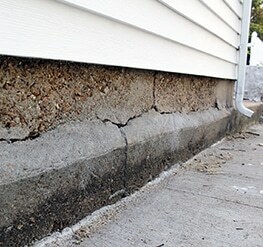 Our team is experienced and qualified to handle the foundation issues that will inevitably arise. Basement and retaining walls may bow or crack because of pressure from the surrounding earth or the settling of your home. Wall realignment can provide added support and prevent those problems from occurring. When your walls begin to crack, they are no longer as stable as they once were. It is important for any homeowner to get those inspected and fixed. Those little cracks in your basement walls can also be the reason your home is taking on water. Waterproofing your foundation and basement is important because it can fix or prevent flooded basements before they cause water damage to your home. Water damage can be a hassle to deal with and once the damage is done there are many consequences that are a pain to deal with. However, if you invest in waterproofing you will not have to deal with problems such as mold infesting your house or replacing materials that have been ruined by the water. Waterproofing could literally save your home. The structural support of your home may be dependent on the joists, beams and cement columns in your crawl space. Your sagging floorboards, cracked drywall and rotting floors may be from a failing support system. No matter what the issue or damage is, our professional team can replace or repair failing areas damaged by time, water or poor building material. United Structural Systems Ltd., Inc. cares about you and your structural needs and concerns. Our foundation repair team will not rest until you are taken care of and satisfied. For more information about our services, the systems we use, or to schedule a free estimate, do not hesitate to contact us at (304) 254-6334.